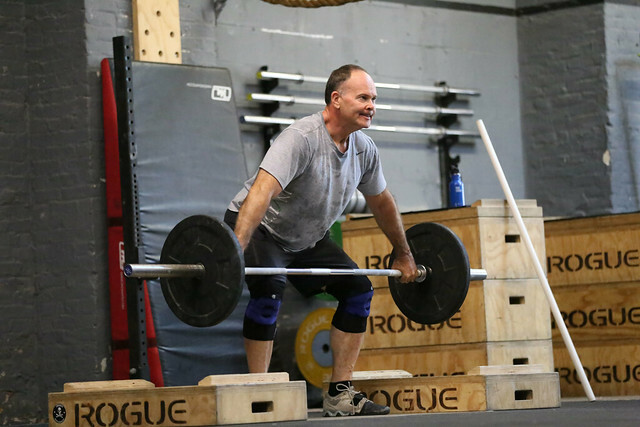 Goals: To stay strong post-Open with some back-to-basics strength training. We’ll use more supersets and EMOMs during strength work and play with barbell complexes on the Olympic lifts. We’ll also see more strict gymnastics work and weekly aerobic paced conditioning work, in addition to classic couplets and triplets. Use a heavy load for the rep range that allows you to move with perfect form. Keep rest to a minimum, 30-60 seconds between movements. 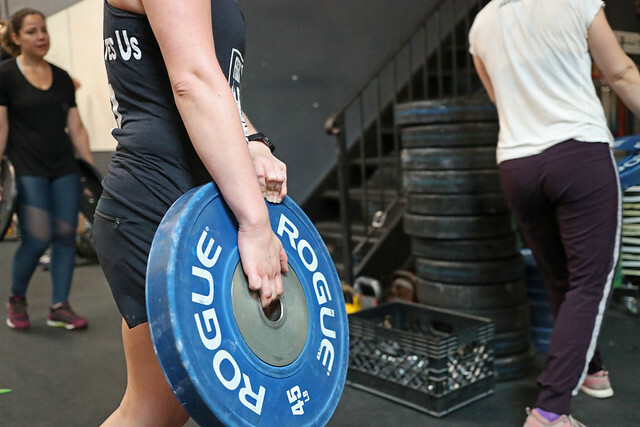 Goals: This cycle will run a bit more similar to classic CrossFit (i.e., constantly varied, functional movement executed at appropriately high intensity). While we’ll see consistent exposures to movements on specific days, the load, rep, and set schemes will be varied, sometimes showing up in a dedicated lifting segment and sometimes in the metcon. The main focus of the cycle is to perform well in the Open—to stay fresh for each week’s workout, which we’ll again program for Saturday’s group classes, rather than gearing the cycle towards improvement in specific lifts/movements. 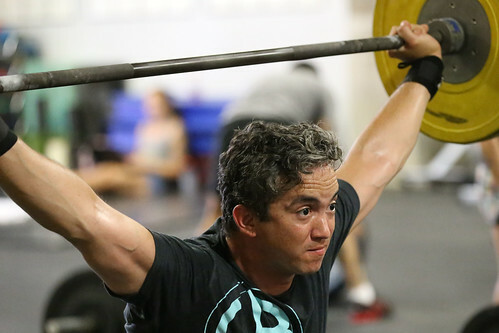 Goals: Build on the tempo overhead work from the previous cycle and use it to move and support more weight overhead in the jerk, in addition to building bodyweight vertical pushing strength and stability. We’re Front Squatting again, and combining it with heavy Jerks on Sundays. We’ll also see the continuation of “Crazy Metcon Saturdays” and regular bodybuilding-style work in cash outs and on NFT days. A metcon or NFT work will follow each day’s lifting segment, as usual. These should all be sub-max sets, adding a deficit if you’re able to. Use a full range-of-motion. No crashing or resting on your head! Start toward the low end of the rep range and aim to add reps each week. Start light at the higher end of the rep range and work your way up in load over the cycle. Perform 5 sets of 5 reps of Handstand Push-Up Negatives (4 second eccentric phase) through full range of motion, kicking back up for each one as needed. No crashing or resting on your head! If you can’t organize the kick-up or lack the strength yet to control the eccentric, then perform 5 sets of 5 Seated Dumbbell Presses. 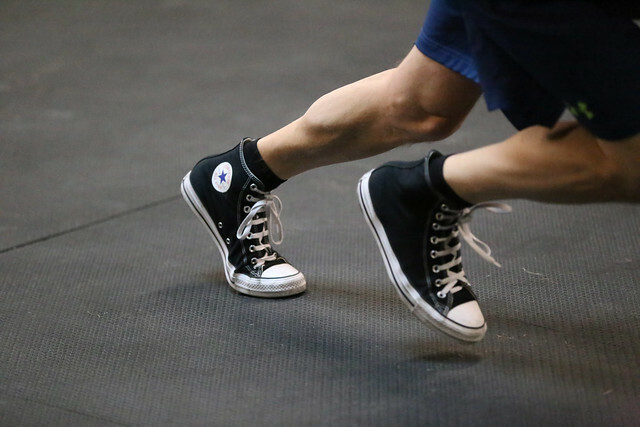 *Warm up and then perform a set of Handstand Push-Ups, followed by a set of DB Split-Stance Single-Leg RDLs. Repeat for 5 work sets of each, resting about a minute between movements. The last few reps of each set should be tough, but the goal is no misses. Varied mixed-modal metcons of longer than our usual time domain, including partner workouts. Week 7: Rack Jerk 5 x 1 at Week 1’s load. Focus on consistent mechanics. 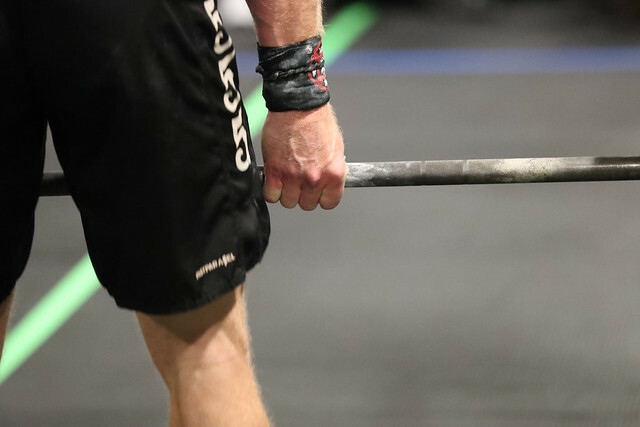 Goals: Improve overhead stability and pushing strength, build lean mass through controlled tempo volume work on slow lifts, and add more regular pulling from the floor. We’ll use the Back Squat in regular lifting rotation but will see Front Squats coming off the floor in metcons. We’ll also see the continuation of “Crazy Metcon Saturdays” and regular bodybuilding-style work in cash outs and on NFT days. A metcon or NFT work will follow each day’s lifting segment. Warm up and then perform a set of Presses followed by a set of Deadlifts. Repeat for 3 work sets of each, resting about a minute between movements. Use a 31×1 tempo for both movements. *Deadlift will alternate week to week between Sumo and Stiff-Legged.